What is a Texas Quit Claim Deed? Texas Quit Claim Deed: What Is It? 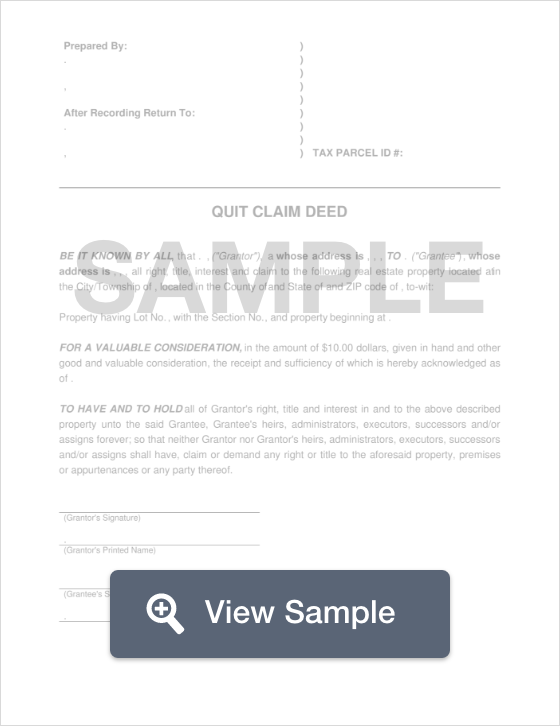 A quit claim deed in the state of Texas is a legal document that is used to convey property from an owner to a seller. These documents transfer the ownership rights to a property with no warranty or guarantee that the title is clear and free of encumbrances. These types of transfers are common in transactions between family members, however, a title search should be conducted before using a quit claim deed to ensure that there are no unfortunate surprises. Signing - According to Texas Law (Section 11.002(c)), a quit claim deed must be signed by the Grantor, along with two signing witnesses, or it may be notarized by a Notary Public. Recording - Once the document has been witnessed or notarized, it must be filed with the County Clerk’s Office.